Want to provide recognition to employees who contribute meaningfully in your workplace? You can reinforce and make recognition more powerful when you write a recognition letter to accompany your appreciation and praise, whether monetary or otherwise. Use the following sample recognition letters to reinforce employee recognition in your workplace. While your recognition letter will not be exactly the same, these recognition samples provide good examples and a starting point for you to craft letters for your own employees. From employee recognition letters to bonuses and gifts, employee recognition is good for workplace motivation and creates positive employee morale. Thank you letters speak powerfully. This is a sample recognition letter that an employer can write to an employee to note the employee's good work. The purpose of the recognition is to thank the employee and reinforce the actions and behaviors that the manager would like to see the employee continue to contribute. This is a more formal recognition letter sample that will bear weight in the employee's memory, when received from his or her supervisor. A semi-formal thank you letter, that recognizes specific employee contributions, goes a long way in helping employees feel recognized and rewarded. A semi-formal employee recognition letter that accompanies a bonus check or a gift magnifies the recognition an employee experiences. An informal thank you letter, that recognizes specific employee contributions, goes a long way in helping employees feel recognized and rewarded. In fact, an informal employee recognition letter that accompanies a bonus check or a gift magnifies the recognition an employee experiences. Some employees experience such gratification that they post the thank you and recognition letter in their cubicle, office, or workstation for years. Would you like to see three more examples of more formal, written employee thank you letters? 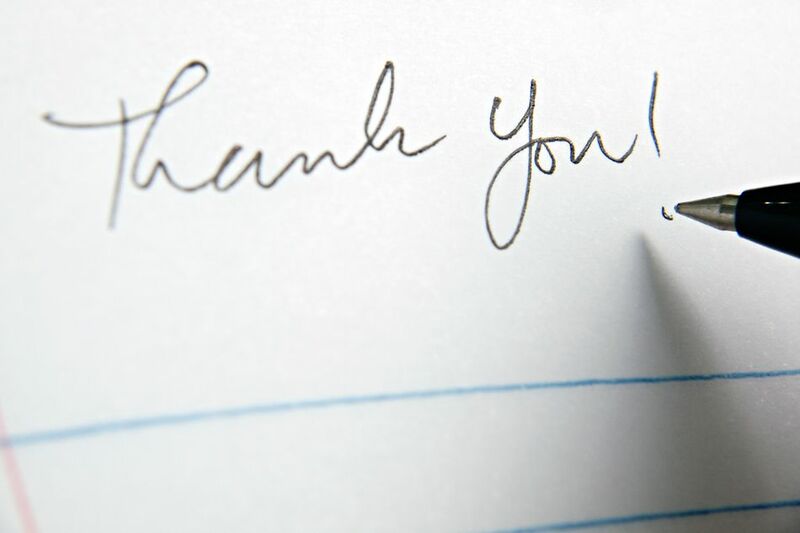 You can make an employee's day, week, or even, month by thanking them and accompanying the thank you with a letter that magnifies the impact of your thanks. These sample thank you letters express gratitude for developing an effective new employee orientation and onboarding program, astonishing customer service, and a presentation about the impact of overtime regulations. Employee recognition becomes even more powerful when a thank you letter accompanies any award or gift that you provide for an employee. This is especially important when the recognition you provide is cash, a check or a gift certificate. These are quickly spent and often, the sincere thank you that verbally accompanied them is easily forgotten in the busyness of day to day work. The thank you letter will remind the employee of your gratitude—sometimes for years. A thank you letter from an employee's manager is a treasured form of positive recognition. So, are letters from the boss's boss and any senior managers. They are affirming as they mean that the boss really does appreciate the employee's hard work and contribution. When senior managers recognize an employee's work, he or she knows that they are talked about and appreciated ​up the ranks of the organization. This can result in promotional opportunities and other good happenings in the future.